Chief Official White House Photographer for President Obama (and President Reagan before him), Pete Souza put together Obama: An Intimate Portrait as a record of eight years with the 44th President. Published in late 2017 by Hachette Book Group, the first run sold out quickly and became difficult to find by the holidays; a signed and slipcased deluxe edition went even faster. Souza is also a Springsteen fan and Backstreets reader. 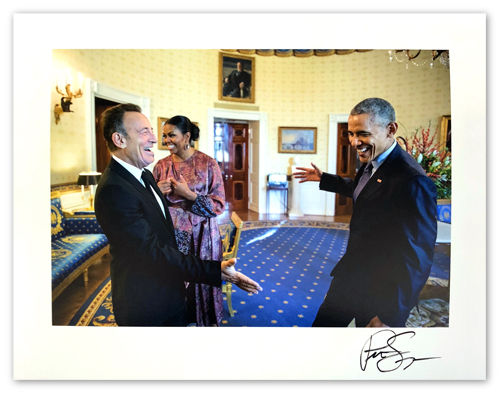 Thanks to his kindness, we have 20 copies of the brand new run of the deluxe edition to offer for sale -- and on top of that, each one from Backstreet Records will come with an 8x10" bonus print, also signed by Pete just for us, of Springsteen and Obama meeting at the White House. This collectible edition of Obama: An Intimate Portrait will stand the test of time. 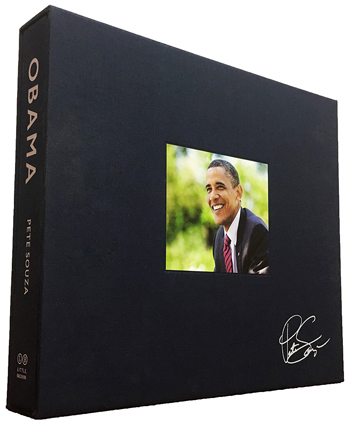 Personally signed by Pete Souza, the book is printed on heavy fine art paper, with every photograph protected by gloss varnish; bound in rich blue cloth, stamped with foil; and protected by a durable clothbound slipcase, debossed with Souza's signature and mounted with a laminated photographic print. It also includes a separate 8x10" print of Souza's iconic photograph of the President dancing with the First Lady, suitable for framing and display in your home. This 352-page book is 12 inches wide by 10 inches tall. It weighs more than seven pounds. Relive the extraordinary Presidency of Barack Obama through White House photographer Pete Souza's behind-the-scenes images and stories -- some published here for the first time -- with a foreword from the President himself. During Barack Obama's two terms, Pete Souza was with the President during more crucial moments than anyone else -- and he photographed them all. Souza captured nearly two million photographs of President Obama, in moments highly classified and disarmingly candid. 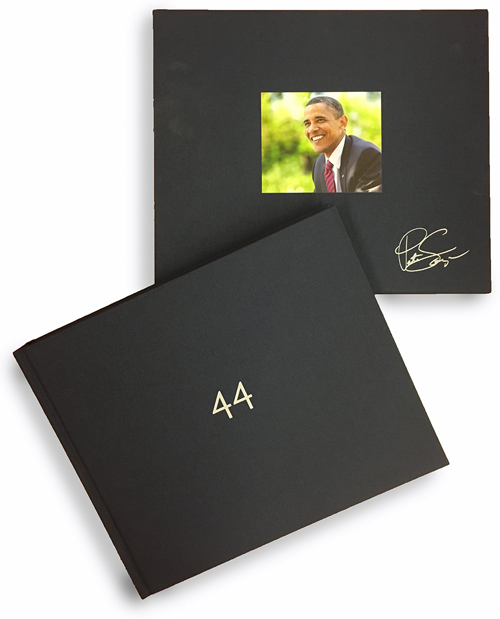 Obama: An Intimate Portrait reproduces more than 300 of Souza's most iconic photographs. Together they document the most consequential hours of the Presidency --including the historic image of President Obama and his advisors in the Situation Room during the bin Laden mission -- alongside unguarded moments with the President's family, his encounters with children, interactions with world leaders and cultural figures, and more.